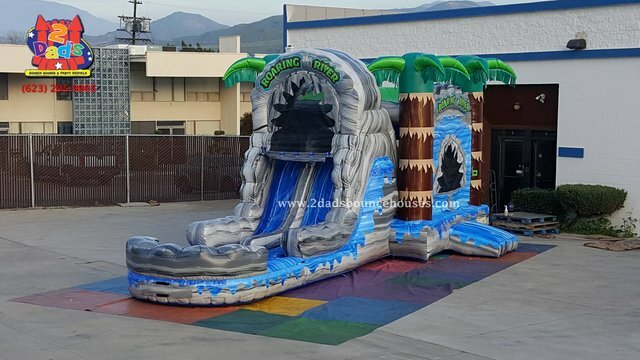 The Roaring River Dual Lane Water Slide Combo inlcludes a basketbal hoop and a huge 15x15 jump area. It also has and excape slide portruding from the side. This is really a one of a kind combo with ecentric colors to grab the eye of all your guest. This combo has all the action for your next party. This combo is also availabe in a Dry option with Dry attachment. 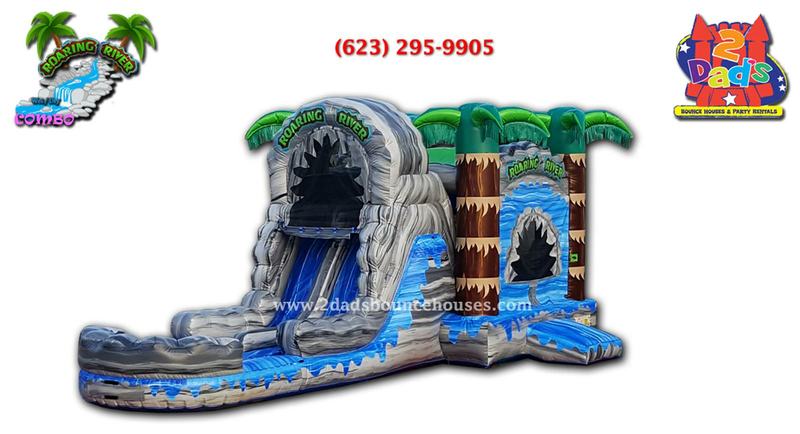 Check out our "DrySlides" tab to choose this option.